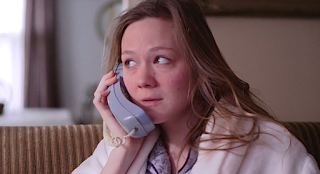 Jane Wants a Boyfriend which is billed as "not your neurotypical love story" is a hilarious comedy centering on an autistic woman, Jane (Louisa Krause) seeking love. 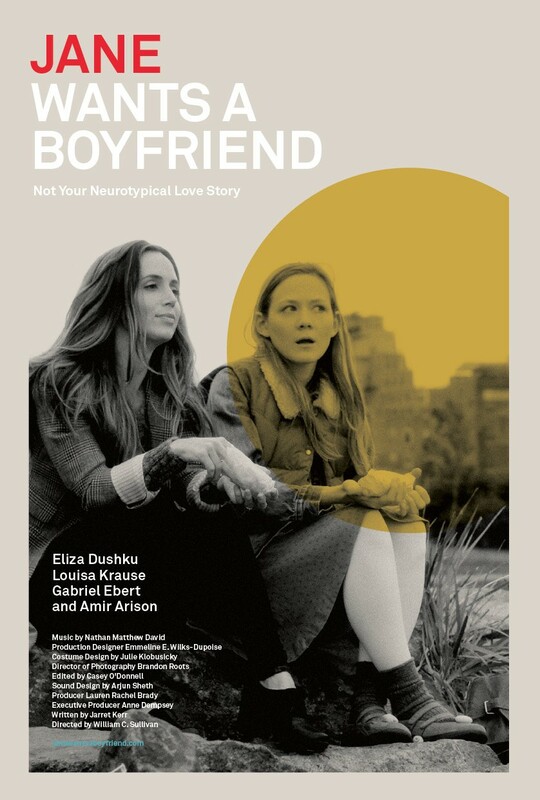 Becoming a grown woman (age 25) now as she now sees herself, she tells her overbearing sister Bianca (Eliza Dushku) that she wants a boyfriend. The film is currently hitting the film festivals, and I was fortunate enough to catch it at the Lower East Side Film Festival which included a short Q&A with the filmmakers. A video of that Q&A is included below. Hilarious dialogue, thought provoking and moving, a stellar cast with superb performances makes this one to keep an eye on at film festivals. Going into this film I did not know much about Asperger syndrome and it isn't necessary either. The disorder which plays a key part due to the main character Jane having it makes this film just that more amazing. 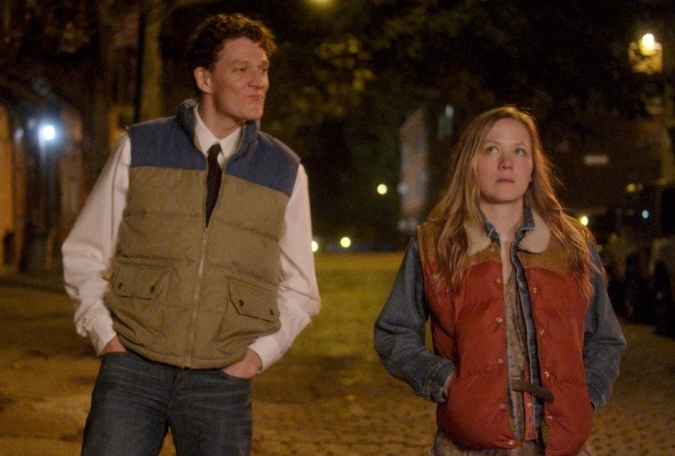 It isn't your typical romantic comedy, in the sense that the only disorder in most romantic comedy is love itself. From the Q&A you learn the amount of research and detail to make every right from the casting of Jane to working with a consultant and it shows on film. Louisa Krause is amazing as Jane, from her little movements and facial expressions to her outbursts. Eliza Dushku is equally as impressive in the difficult role of being full of emotion in trying to nurture her sister without being too attached as she tries to live her life with her boyfriend Rob (Amir Arison). Gabriel Ebert who is relatively new to films is going to turn heads with his performance as Jack, the potential love interest of Jane. There is little to fault with the film. The film is a tad predictable as far as what you expect will happen in regards to some of the main characters. As well, the camera work is sometimes questionable and quite apparent that the film is a low budget film. These things doesn't take away from the enjoyable film that will have you laughing and crying all while being educated on autism as an extra bonus. Overall, I would highly recommend the film if you have the chance to catch it at your theater when it is released. Due to some of the themes including Jack's earlier choice of girlfriends and his "bad influence" on Bianca, I would not recommend the film for children or even some younger teens. The movie is a great date movie, as well recommended for people with family and friends of someone that may have Asperger's.